Do you suffer from Bulging, Herniated, or Degenerative Disc? Contact Your Local Disc and Neuropathy Expert – serving Edina, and all Minneapolis, St. Paul suburbs. Dr. Antoine has been nominated as a Minnesota Monthly Top Doctor! 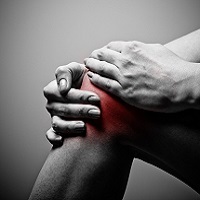 Get your Bad Discs, Nerves, and Joints (Knee, Shoulder, Hip, Feet) to Heal & Avoid Surgery. Hi, I’m Dr. Jamy Antoine, BS, DC, FICPA. In 2010 I started experiencing severe neck and middle back pain, and almost daily headaches. I had tried traditional chiropractic, traction, massage, nutrition, rehab, and medication, all to no avail. An MRI revealed that I had 6 bulging and herniated discs, along with stenosis, bone spurs, and other serious spine problems. Once I saw my MRI results, I knew there had to be a better way to get my discs to heal. Like you, I know it can be frustrating when everything you have tried fails. I know what you’re going through. You start to lose trust, faith, and hope in ever getting better even though you’ve tried all the recommended “standard of care” treatments. You have real concerns about continued disability and the real prospect of an upcoming surgery. When your quality of life is taken away, it’s time to discover a real solution that targets the disc or neuropathy problems at the core. Treating only the pain will never get the job done. That’s why I am so passionate about our unique treatment programs. After your initial consultation and MRI, CT scan, EMG, NCV review with me, we will develop a roadmap to get you feeling better once and for all. 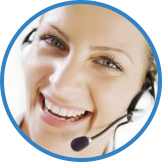 Our clinic gets results because we are specific about the type of patient we treat and our treatment methods. Your success is our success! Please click on the circular tabs below to learn more about our treatments and how we can help improve and treat your individual condition. Do you suffer from neck and back pain or aching joints? Do you experience numbness or tingling in your arms or legs? There is no reason to suffer or to learn ways to manage life with these symptoms. When you visit Select Health of the Twin Cities, we can offer you realistic, non-surgical options to reduce or eliminate these symptoms. RejuvaDISC is a non-surgical process, utilizing state-of-the-art technologies and procedures including robotic, non-surgical lasers, stem cells from the appropriate patient, and other high-tech treatments that all treat the root cause of your pain with little to no side-effects or downtime. Select Health of the Twin Cities is excited to announce that we partner with a local stem cell physician to provide the best in joint and spine care. When you schedule your consultation with Dr. Antoine, we will discuss all the options available to you, including stem cell therapy. Combining RejuvaDISC and stem cell therapy can offer you a treatment option that may help relieve your pain and alleviate your symptoms. Schedule your consultation today to learn if RejuvaDISC may be the right fit for you. 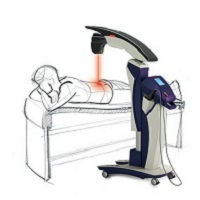 Robotic Laser therapy is an effective pain management tool that is particularly useful for people who suffer from sciatica related back pain, joint pain, and peripheral neuropathy. Laser therapy is widely studied and proven and is used to reduce inflammation and edema that can exacerbate pain caused by a variety of conditions. One patient survey of over 1100 patients found a 97.8% patient satisfaction rate – utilizing the same laser our office uses! Dr. Antoine will review all of your conditions and symptoms before developing a treatment plan that will offer you the best outcome. Many patients come to us because procedures and treatment that they tried at the advice of previous doctors or surgeons failed. At Select Health of the Twin Cities, we treat the root cause, not just the symptoms themselves. If you have any of the following symptoms, contact us for your consultation! If you are looking for alternative treatments for the symptoms related to your peripheral neuropathy damage, sciatica, degenerative disc disease, spinal stenosis, herniated or bulging discs, don’t hesitate to schedule your consultation. Dr. Antoine will review all of your medical imaging and your symptoms to develop a treatment plan tailor-made for you. Contact us for more information today.